John Kenneth Muir's Reflections on Cult Movies and Classic TV: Ask JKM A Question: The Thing Part 3? "John since we are both John Carpenter fans, I was just wondering if you think THE THING 3 has been set up by the end of the THE THING (2011) prequel to the THE THING(1982) film. I liked that THE THING (2011) fit as a prequel to the THE THING(1982) exploring both the spaceship crash site and Norwegian camp that Kurt Russell would later do. 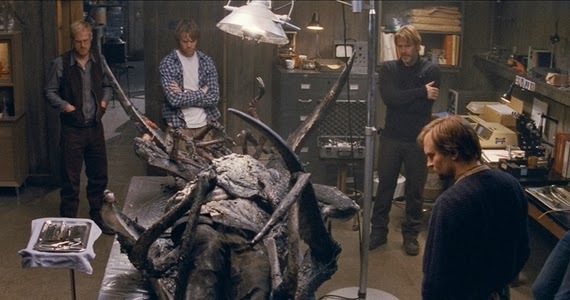 The way the THE THING (2011) film ended with the beginning of the THE THING(1982) film was excellent. All set in the year '82. Now my question is do you think that a potential THE THING 3(201?) has been established to be made if they wanted to? 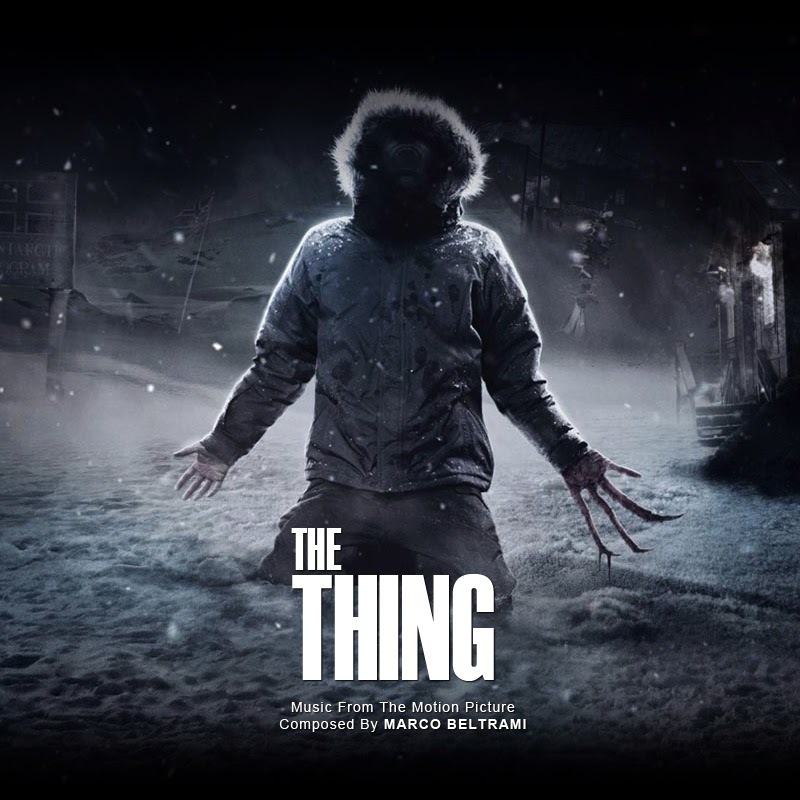 It would be still set in '82, I would like to see a sequel to the THE THING(1982) film with Kurt Russell, Keith David and the survivor Mary Elizabeth Winstead of the THE THING (2011) film meeting up on their journey to the previously mentioned Russian camp base for rescue or another encounter with the thing. A perfect trilogy. Kurt Russell and Keith David could reprise their roles with makeup in my opinion." Thank you for the question, SGB! Since 2011 and my original mixed review, my appreciation for the prequel, The Thing (2011) has grown a bit. I own the film on blu-ray and have watched it in conjunction with Carpenter's The Thing (1982) a couple of times. Although I dislike the CGI effects, I feel the prequel is a good faith effort to continue the franchise in terms of spirit and approach, and that the two films generally fit well together. Now, in regards to The Thing Part 3, I think the sequel you outline would have been possible (maybe even probably) if the prequel had succeeded at the box office. I know that I have desired to see a John Carpenter-helmed sequel to The Thing since I first saw the 1982 film on a double bill with Ridley Scott's Blade Runner in Los Angeles that long ago summer. However, the unpleasant reality is that, worldwide, the prequel made only approximately 28 million dollars, on a budget of 38 million dollars. And that budget figure doesn't include, I assume, marketing costs. Now, DVD/Blu-Ray sales also aren't factored in to the worldwide gross figure I noted above, so perhaps the movie broke even on the secondary market, but I wouldn't bet on it. And that fact, means that no The Thing 3 is in the offing. Carpenter's The Thing was also a notorious box office bomb in 1982 -- though it seems impossible to believe, now -- and it took thirty years for the world to catch up with the fact that the movie is a masterpiece. Although the prequel's reputation will grow in the years ahead, perhaps, I don't feel it will achieve the same blazing trajectory, in part because it owes much of the energy it does possess to (successfully) re-creating the atmosphere of Carpenter's film And without achieving that "escape velocity," so-to-speak, I just don't think there's going to be an impetus to see the sort of Thing sequel we both desire. On the other hand, someone could start a Kickstarter campaign to produce The Thing 3. But I would guess, given the figures for the prequel, thatabout forty-million dollars would have to be raised. That's a high threhsold, and even the successful Veronica Mars kickstarter was considered a giant success at 5.9 million dollars. I hope I'm not being a "debbie downer" here, because you know I'm in your corner (and The Thing's corner). I just feel that Universal Studios wouldn't consider a Thing 3 a viable enterprise at this juncture. At some point in the future, someone will no doubt choose to adapt "Who Goes There" one more time, but I feel like it won't be in the language/visualization of the Carpenter version. Thank you John for your thoughts on THE THING 3. It is a business first and sadly as you stated these films are not box office gold. At this point, I consider all three Thing films 1951, 1982 and 2011 are must see. Maybe, as you stated, the right director might be a catalyst for yet another reboot of the "Who Goes There" short story into a new horror film. Let's hope it will be the right director. It would be great to see a 'Thing 3'. I would not like to see Carpenter helm the director duties because I think of Coppola and 'Godfather 3. I think a sequel could be made even on a low budget, the story would have to be more intimate, a smaller cast possibly, and the paranoia that was not present in the 2011 prequel would have to be amped up but it could work. If I was a producer I would want Brad Anderson to direct.